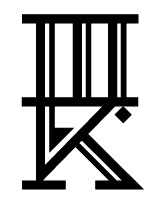 "This is a tattoo of what I think is a Russian movie poster for Buster Keaton's The General. It was done by the awesome Ryan Van Dyke who at the time was working at Vertigo Tattoo in Oxford, OH. 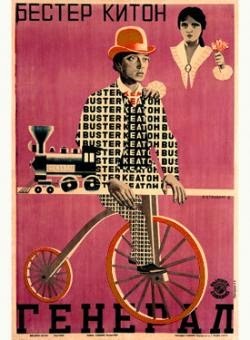 I found the image when I was searching the phrase 'Buster Keaton on a bicycle,' which came from Jack Spicer's After Lorca." Jonathan Lohr is the author of The Certainty of Kent Johnson and Flipbook: A Critical Study of the Adult-Contemporary Poetics of Kenneth Goldsmith. 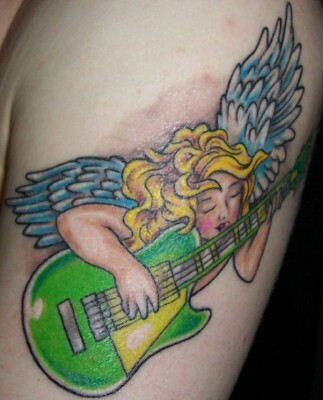 Thanks to Jonathan for sharing his work with us here on Tattoosday's Tattooed Poets Project!